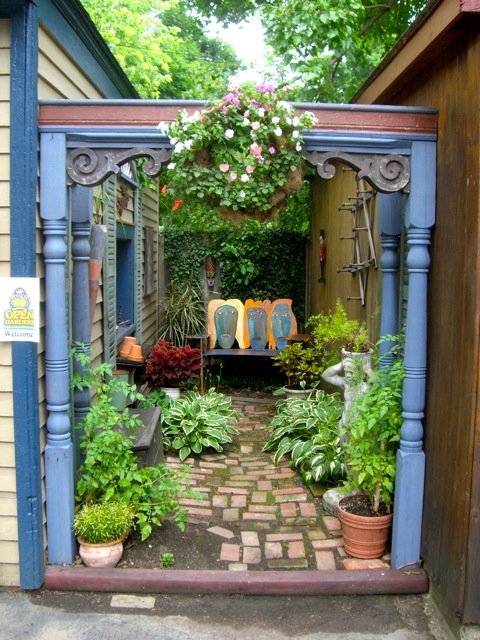 I have to thank native Buffalonian and This Old House Features Editor Charlotte Barnard for showing an interest in the garden to begin with. When she was in the area last spring to scout the garden (and for family events! ), she stayed in the inn just around the block from me. 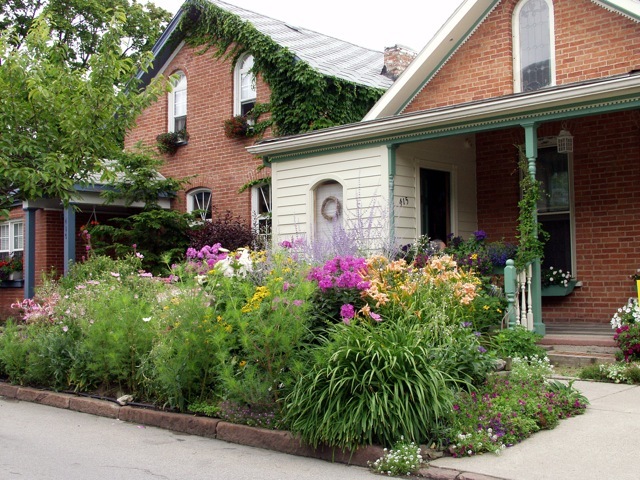 When she asked how to get to the garden, I was able to tell her that she could almost see it from where she was staying – and she didn't even have to cross any streets to get to it! 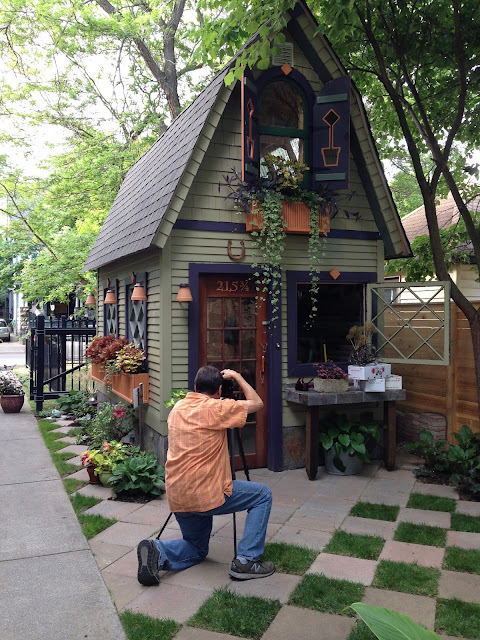 With some going back and forth on scouting photos and details on the garden we settled on a date to have a photographer come for a visit (having a nearly ten year-old blog with details helped greatly!). If you think getting the garden "dressed up" for a garden tour is work, try having a national garden magazine come to shoot it! Being an art director, working with photographers and having art directed, prepped, propped, styled and produced hundreds of photo shoots over the years, there's nothing like having your own property shot. The photographer they sent was one of the leading (if not THE leading) garden photographer in the country. The lovely and talented Rob Cardillo, of the Philadelphia Cardillos, visited on a couple sparkling days last July. Easy to work with and skilled as all get out, Rob worked diligently and you can see the results in the magazine. These quick photos of the page spreads do not do his photos justice. I also had the pleasure of catching up with Rob a bit when I attended the GWA | Association of Garden Communicators Annual Conference in Atlanta last September. I'm hoping to see him again this year when the GWA conference is held here, in Buffalo. I worked with writer Jeanne Huber out of Portland, OR. She was kind enough to listen to my rambling, disjointed blabbing about my garden – and to call my wife and get her input as well. 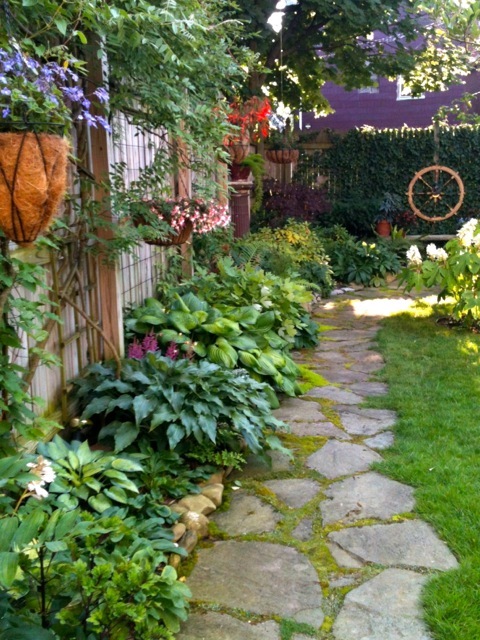 The garden has been covered in other publications (none as big as this), the local newspaper, and regional magazines, but no one's ever asked my wife about the garden. My wife and daughter rarely ever get mentioned. They think that, from what people read on the garden that I'm a lonely old unmarried gay man. Not that there's anything wrong with that. In the course of conversations with the writer Jeanne, I found out she has mutual friends with our good friends in Puerto Vallarta, Mexico – whom we had just visited with! This world is just too damn small. 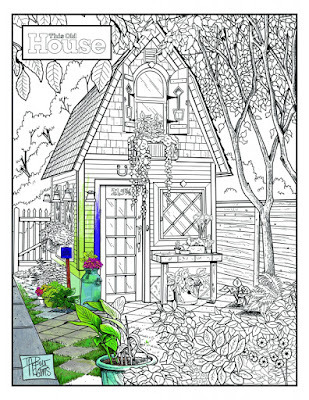 Not only did they cover the garden in eight pages, and have more photos on their web page, but an illustration of the shed was used in a Sherwin Williams coloring contest promotion YOU can enter for $500 in cash and Sherwin Williams gift cards! But only until June 8. Winners will be chosen around June 30th. 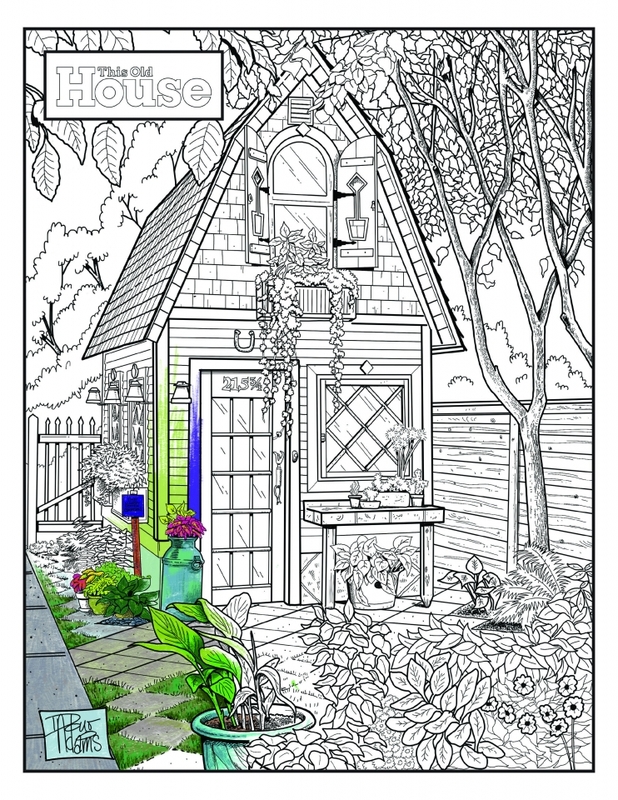 To download a line drawing of my shed to color, visit here. We couldn't be happier with its outcome! Note: for non-subscribers, I'm told you can pick up a copy at local Tops Supermarkets. Haven't found them anywhere else yet! 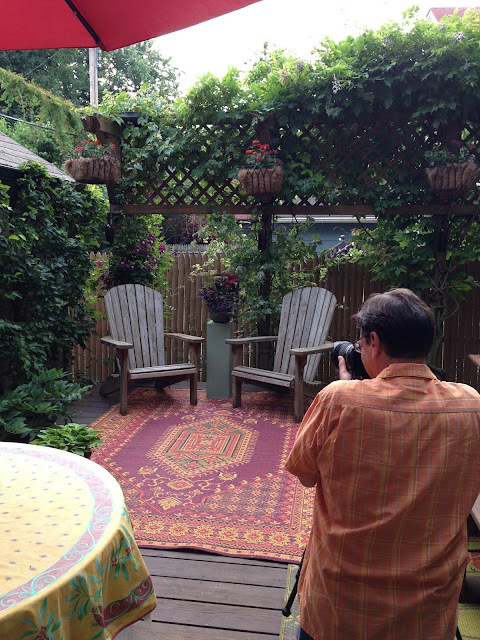 Garden photographer Rob Cardillo making magic. I don't think I have any photos of the front of Rob. Early morning light beats having to light the complete exterior. That's so exciting! How wonderful!